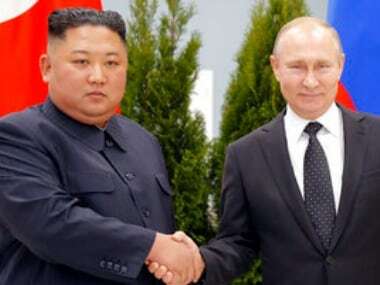 Hanoi: Donald Trump said Sunday he backed US intelligence agencies who concluded that Russia meddled in the 2016 US presidential election, but repeated his trust in the sincerity of Vladimir Putin's denials and slammed critics of his relationship with the Russian leader. 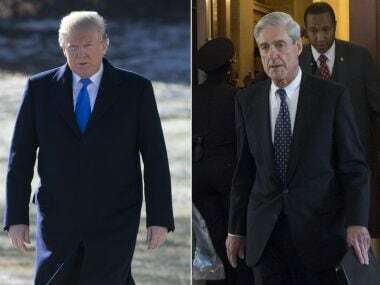 Key former Trump aides are under US investigation for possible collaboration with the Kremlin and the issue of whether Moscow interfered with last year's vote has overshadowed the tail end of the president's ongoing Asia tour. Trump returned to the subject in an early morning Twitter storm, which also saw him take a sarcastic dig at North Korea's "short and fat" leader Kim Jong-Un. Addressing a press conference in Hanoi, Trump was asked to clarify comments he had made on Air Force One the day before about Putin's insistence that Moscow had never tried to affect the outcome of the US vote. In May, US intelligence chiefs told Congress they agreed with their analysts' conclusion that Russia had interfered in the election. CIA director Mike Pompeo, who was appointed by Trump, said he still believed in that evaluation in a statement to CNN Saturday. In his barrage of tweets earlier Sunday, Trump slammed "haters and fools" who questioned his efforts to improve ties with Russia. "There (sic) always playing politics - bad for our country. I want to solve North Korea, Syria, Ukraine, terrorism, and Russia can greatly help!" he said. Trump was in Hanoi for a brisk visit with Vietnam's top communist leaders to drum up trade deals and seek further support on containing North Korea's nuclear weapons ambitions, which have been a dominant theme on each leg of his Asia tour. Citing descriptions by North Korean officials and state media of him as an "old" man, another Trump tweet suggested he was disappointed by what he took to be a personal attack from the North's young leader. "Why would Kim Jong-un insult me by calling me "old," when I would NEVER call him "short and fat?" Trump wrote. "Oh well, I try so hard to be his friend - and maybe someday that will happen!" he added. 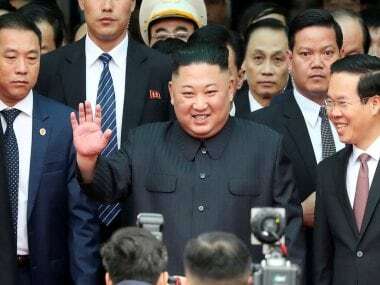 Later at the press conference, he insisted he hadn't been joking about eventually befriending a man he denounced just last week as a "twisted" dictator. "It's certainly a possibility. If that did happen, it would be a good thing,” he told reporters. North Korea is extremely sensitive to any remarks that might appear disrespectful of the country' ruling Kim dynasty, whose members are revered as near deities. Since becoming president, Trump has engaged in an escalating war of words with Kim, trading personal insults and threats of military strikes and raising concerns about an outbreak of hostilities. 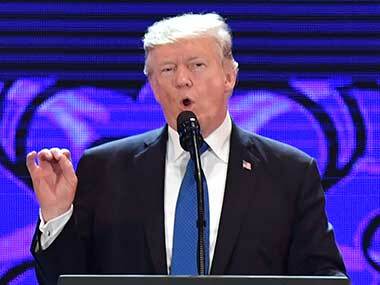 Over the past week, Trump has urged Asian leaders to take a united front against the threat posed by the isolated North, warning at APEC that the region "must not be held hostage". 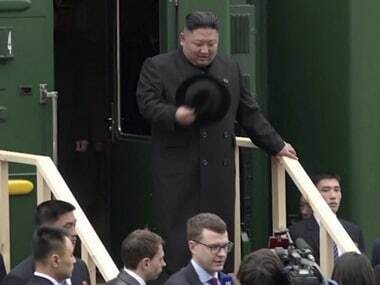 Late Saturday, Pyongyang hit back, calling his Asia trip "a warmonger's visit for confrontation" and saying it would only serve to accelerate Pyongyang’s push for nuclear statehood. In another tweet Sunday, Trump said Chinese leader Xi Jinping had agreed to toughen sanctions against North Korea, whose impoverished economy is hugely reliant on trade with its giant neighbour. "President Xi of China has stated that he is upping the sanctions against (North Korea). Said he wants them to denuclearise. Progress is being made," he wrote. Trump leaves Hanoi for the Philippines later Sunday, which will be last stop in his marathon tour through Asia. Philippines and Vietnam are two countries that have sparred with Beijing on overlapping claims in the resource rich South China Sea. Vietnam has sought military support from Washington on the dispute, and dealmaker Trump said Sunday he could help mediate the conflict. "If I can help mediate or arbitrate, please let me know... I am a very good mediator," Trump told Vietnamese President Tran Dai Quang. In the past, China has reacted angrily to any suggestion of US mediation, saying Washington has no role in the dispute.